Surrounded by massive cargo ships, container cranes and highways, private boater Skyler Nathis says that he and his buddies fished in the Port of Long Beach for years without knowing that certain areas were restricted. According to the 23-year-old Lakewood resident, it wasn’t until a few years ago–when Port law enforcement saw his buddies hooked on a sting ray, confiscated the fish, and gave them each a fine–that they realized it was illegal. Now, however, Nathis and his buddies may not have have to worry about Port police because fishing restrictions in the harbor have been revised. An amendment to Tariff No. 4, Item 734—the Port’s fishing policy—was proposed to the Board of Harbor Commissioners in December and as approved on January 13, enables anyone to fish in any area unless posted signs state otherwise, according to a memorandum sent to the Board. 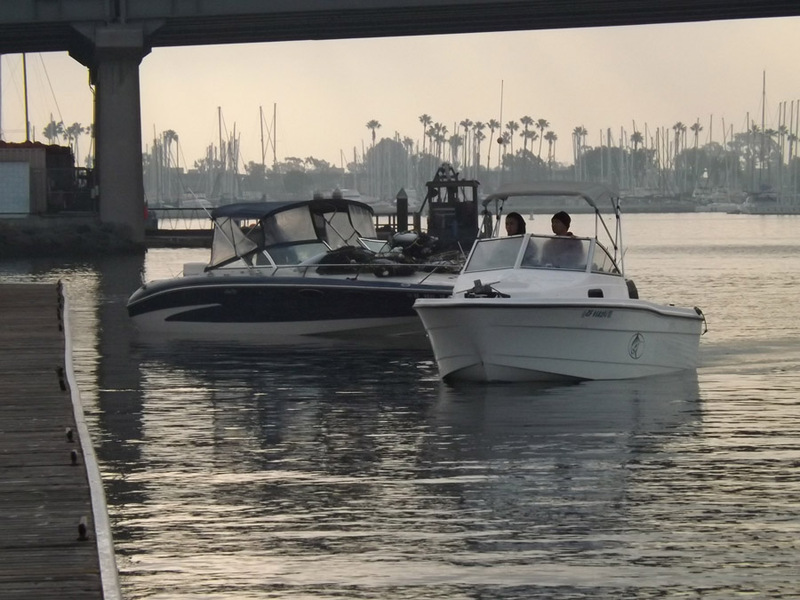 Originally, the tariff prohibited anyone to fish within the Port of Long Beach as well as prohibited the use of any non-designated areas for the purpose of fishing without first securing permission from the Executive Director, the memorandum stated. The amendment alters the tariff to only prohibit anyone to fish from the land within the Port except unless signs permitting fishing are posted, according to the memorandum. “From the land, we’re trying to funnel everybody to a designated area for fishing,” said Art Wong, assistant director of communications for the Port of Long Beach, about why restrictions on fishing from land remained on the amendment. The only currently designated land fishing area within the Port’s jurisdiction is the fishing bay located south of the Queen Mary, he said. Before the proposed amendment, Wong said that the enforcement of the current fishing tariff was “spotty” and inconsistent and that although people were sometimes told not to fish from boats inside the Port, tickets were not often issued. “Finally the [City] attorney just said, ‘Well, we don’t need to do this,’” Wong said. Wong said that the city attorney explained that because the Port is a public waterway, the Board did not have the authority to implement a fishing ban. Now, the Board is just clarifying this to conform to state regulations on public waterways, Wong said, leading to the changes in the fishing ordinances introduced to the Board. Now that the amendment has been approved, it will take about a month for the tariff amendment to be finalized. Longtime sports fisherman Jack Sowell, 78, said the local fishermen are among those who will be most encouraged by the tariff amendment. “If you come here on a Saturday afternoon, there are all kinds of little boats out here,” he said. 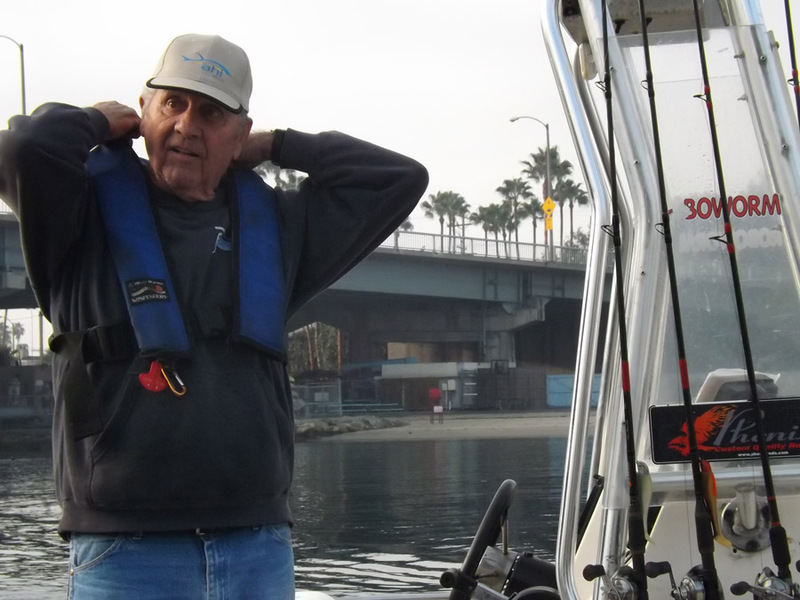 Sowell is a Whittier resident and fishes in Long Beach at least once a week.